I’m not going to spend much time reviewing the original Statecraft songs, it’s a record that I’d expect any self-respecting music fan to own. I know the songs inside out and expect you to too, but it was a massive pleasure having to listen to them again. 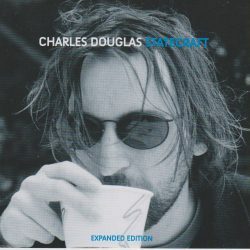 For me Douglas is a mixture of Robert Pollard, David Berman, Lou Barlow, FM Cornog and Jonathan Richman, could’ve, maybe should’ve been huge but an ornery attitude and an aversion to playing live did for him. It’s down to the good folks at Broken Horse who have been persevering with these reissues that his name is back on the radar. Here we get 19 additional tracks culled from the same sessions as the main album and featuring Joey Santiago (The Pixies) on most tracks. Given the offcut nature of these songs, there some real treasure to be found. Songs like Among The Boys & Girls were buried by Douglas after he wrote them – he was aiming for ‘an idiotic radio hit’ and hated himself for it, that’s the contradictory nature of him, hating what he was absolutely built for. Salt is about the low point of a heroin addict, selling your record collection to buy drugs. It’s as laid back as he gets, with atypical steel guitar which float it along marvellously. Rest Assured drifts along though only for just over a minute – it’s over much too quickly, much like Douglas’s musical career. The improvised instrumental The End Of Today suggests yet another direction he could have gone in, cello leading the way with little flutters of brass some post-rock guitar. A cover of The Pixies Bone Machine was recorded for a tribute album and it manages to relocate the song somewhere near Joy Division with most of the guitar parts played on keyboards – that’s what covers should be about, for God’s sake do something different with the song. Blues for Catalina is the only demo of a song from the album proper which makes it to the reissue when most are made up precisely of these; it’s not a great demo but it does have a certain charm. I Like To Drink and Take Pills is the lowest of lo-fi, which accurately sums up Douglas’ life at the time. He’s now sober and known as Alex McCauley enjoying the kind of success as a novelist and screenwriter that eluded him as a musician. The record proper is just a succession of scorching indie-rock songs, sixteen examples of his art, each different from the other each having something to recommend it – it’s difficult to pick anything out because each song means something to me. The strange dichotomy between Douglas’ craving for fame and his constant self-sabotage imbues his music with a real tension. Have a listen to Free At Last below and slip into his world.